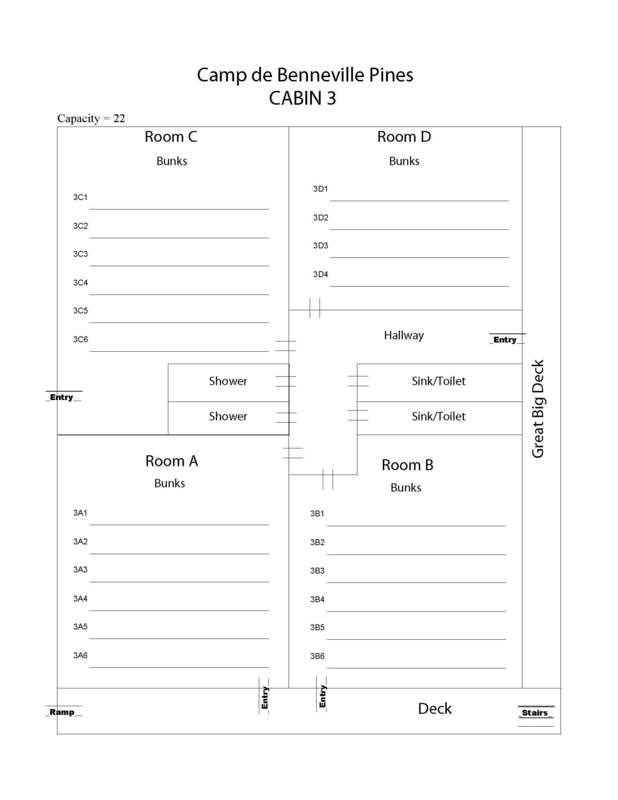 Unlike Cabin 1, Cabin 3 has two decks, a ramp, stairs, and four separate entries! 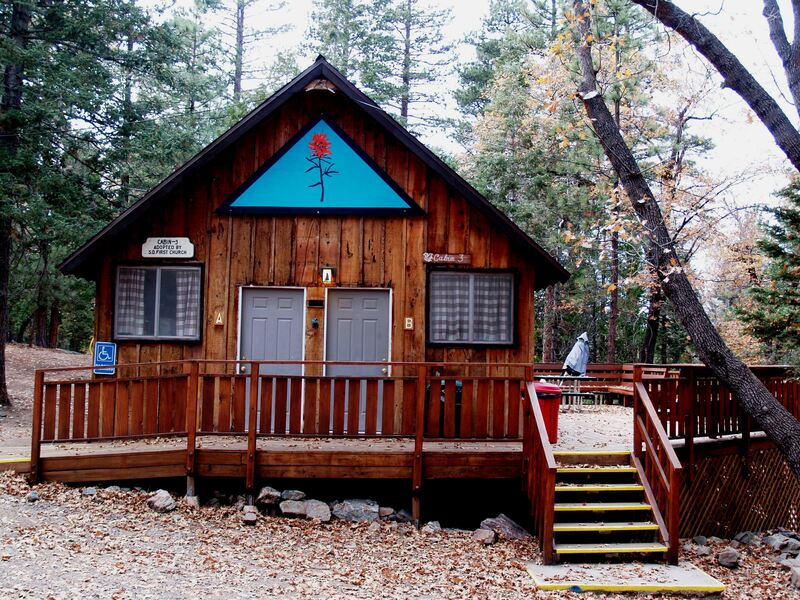 This cabin has three rooms with three bunk beds, and one room with two bunk beds. It also has two sinks/toilet, and two showers!